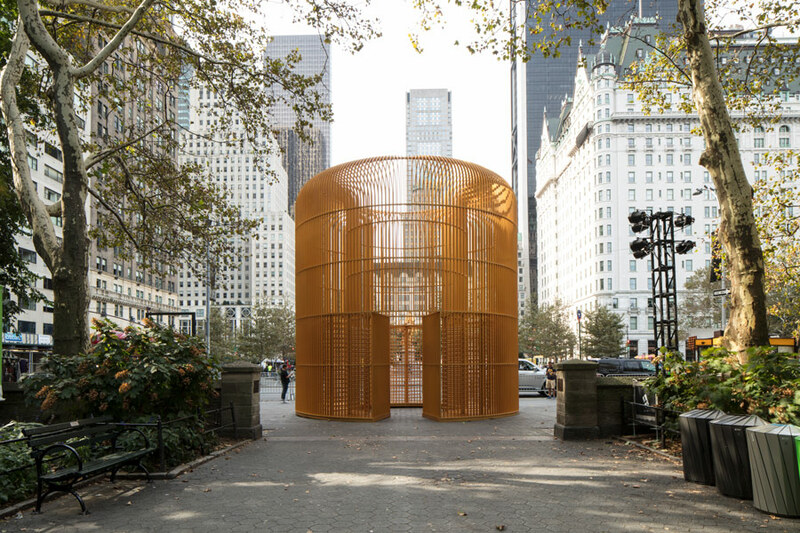 In Good Fences Make Good Neighbors, a new exhibition by Ai Weiwei presented by the Public Art Fund, the artist and activist takes on the security fence as a medium for urban intervention, with New York City as his canvas. 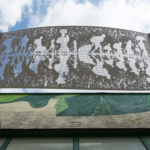 Some of the works might be easy to miss, like the chain link fences suspended over a gap between two buildings on East 7th Street, just steps from Ai’s old basement apartment. 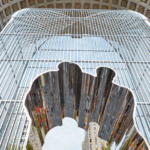 But others, like the monumental Gilded Cage at Doris Freedman Plaza in Central Park, or Arch, nested under the Washington Square arch, are unmistakable and grandiose. 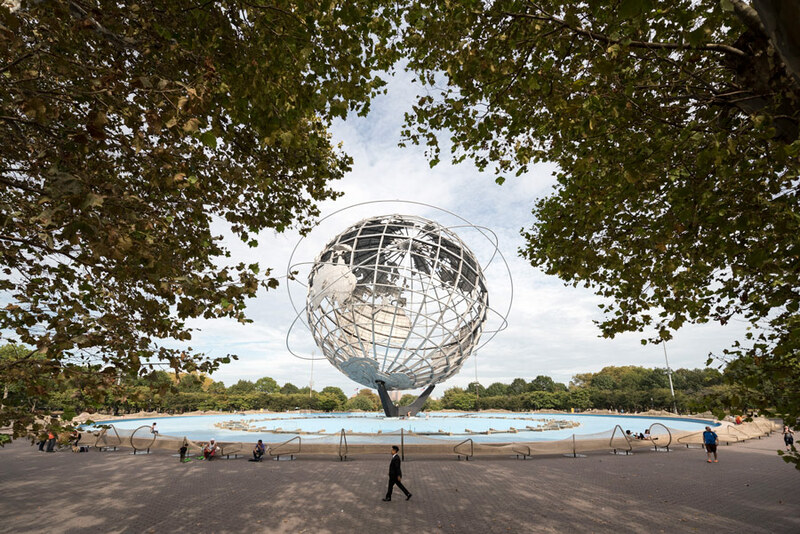 The exhibit, which spans the five boroughs, opens to the public on October 12 and is comprised of more than 300 pieces. 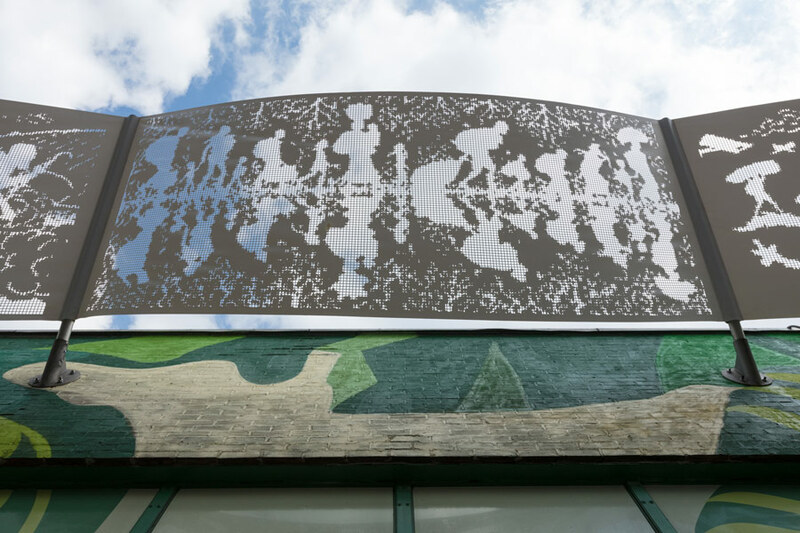 Like the Robert Frost poem it references, the show examines the tension and contradictions surrounding borders and those excluded by them, inspired by Ai’s concerns about the global refugee crisis and related geopolitical conflicts. 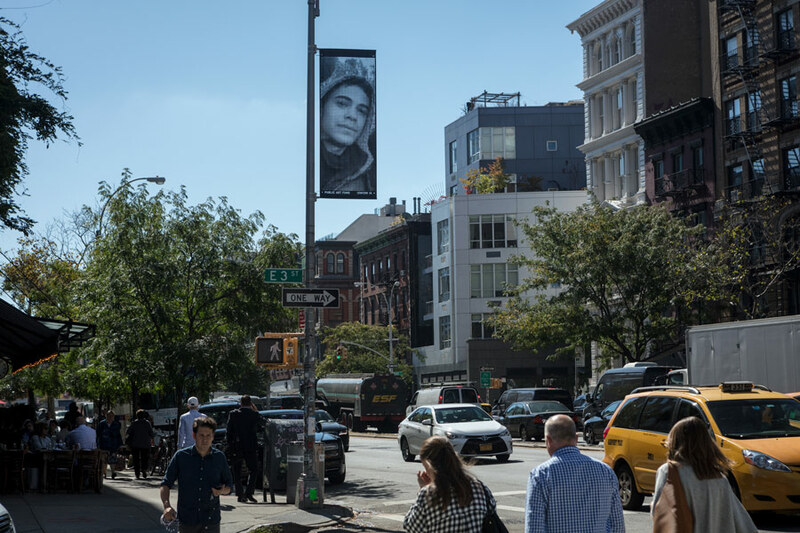 Many of the city sites selected by Ai, once a New York immigrant himself, also have close ties to histories of immigration, protest, and free speech. 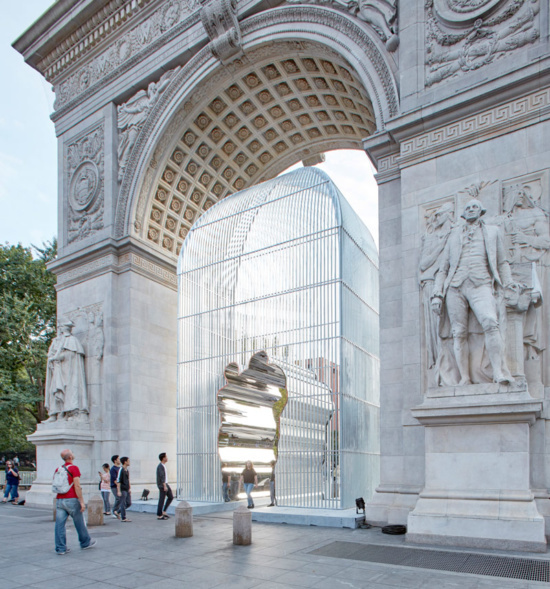 For the artist, the exhibition became an opportunity to utilize the existing infrastructure of New York City as a scaffolding for public art. 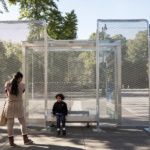 From lampposts and flagpoles as well as on the public bus shelters dotting the city, Ai has installed a range of two- and three-dimensional works that combine fencing material with his cell phone shots of border checkpoints and refugee encampments. 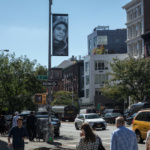 The images the exhibit has hung from lampposts throughout the city are delicate portraits stamped out of a black mesh fabric, and feature archival shots of Ellis Island entrants, notable refugees and immigrants like Nina Simone and Emma Goldman, and contemporary faces of displacement and exile, such as Iraqi refugees. 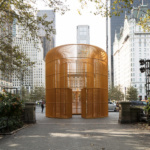 Ai Weiwei also resurrects some familiar metaphors from his oeuvre, especially the birdcage. 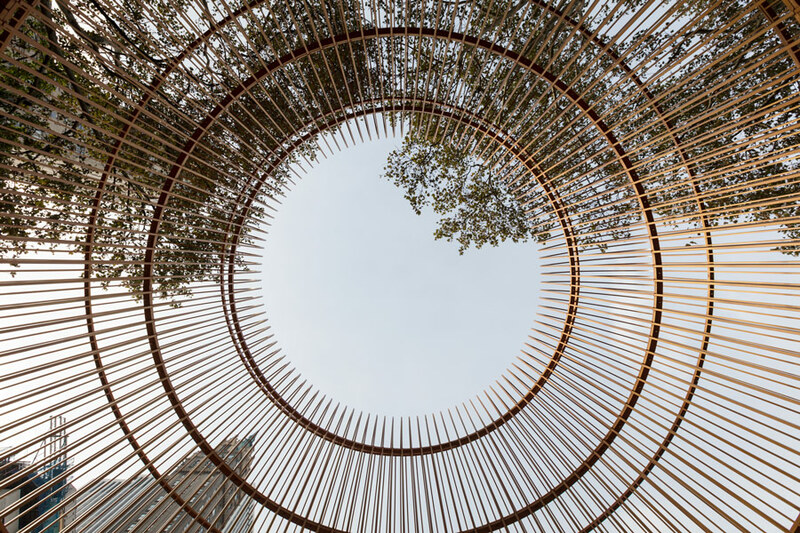 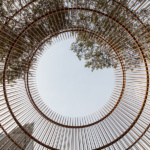 It becomes an inhabitable monolith in Gilded Cage, with turnstiled arcades forming the outer perimeter and a clearing in the middle that frames the sky and the surrounding foliage of Central Park. 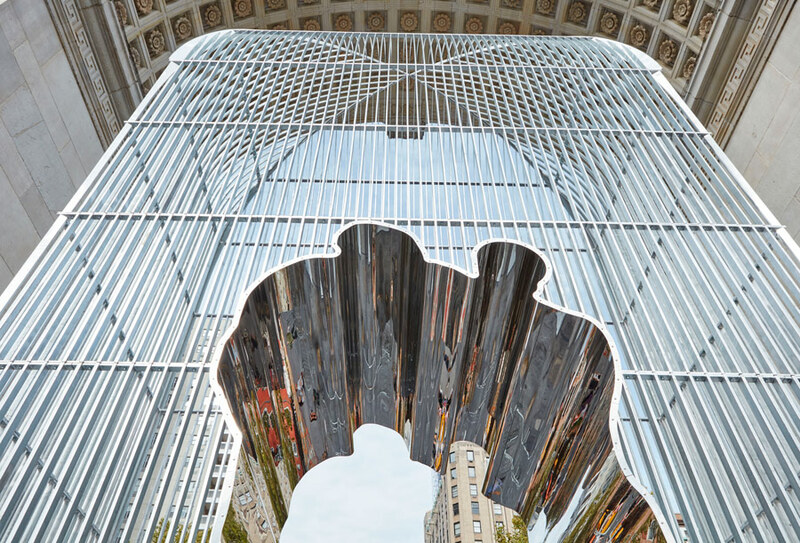 In Arch, the birdcage that blocks the Washington Square arch is shot through with a mirrored portal shaped into a silhouette of two people, a reference to a Duchamp work that also suggests how cages can become doorways, or hint at the inevitability of human migration despite the barriers that are erected. 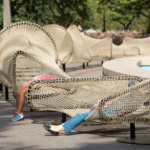 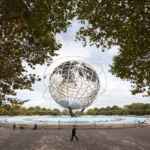 Circle Fence, which rings the Unisphere in Flushing Meadows Corona Park in Queens, is grand on a different scale, essentially forming a low 1,000-foot-long soft fence that doubles as a collective hammock and seating. 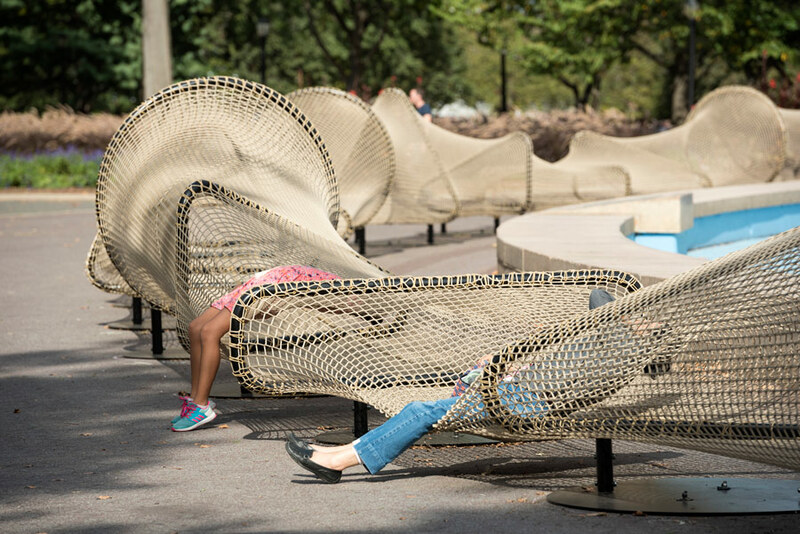 Here the fence does not resemble a jail or barrier, but the mesh netting stretched over the fence posts still blocks movement even as it invites the public to lie down and relax. The full list of works and venues for Good Fences Make Good Neighbors can be found here. 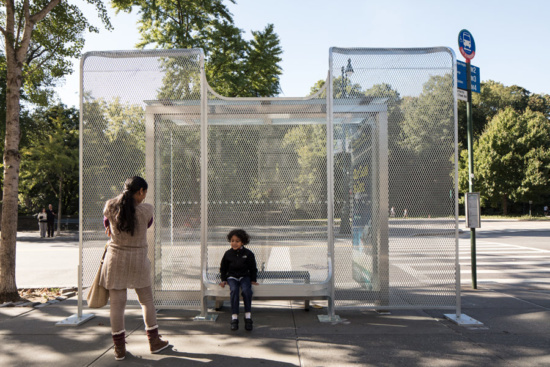 The exhibit will be on view through February 11th.